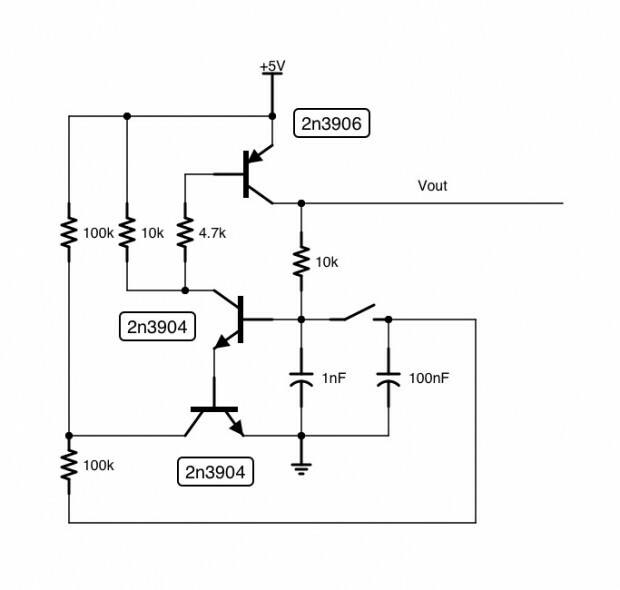 This diptrace schematic is a minimal circuit using the TPS62056DGS voltage regulator. 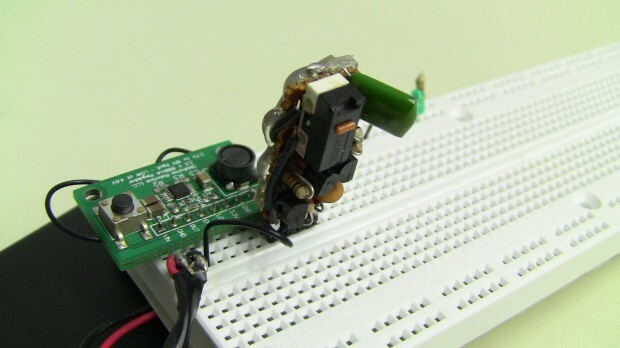 It also depicts a momentary pushbutton switch as a holdover from the previous revision. Beau Schwabe, IC layout engineer and member of our local Ohm Space, revised a circuit he designed years ago to work efficiently with my regulator board. He built a proto pcb with this circuit on it and I am currently testing it with my regulator. 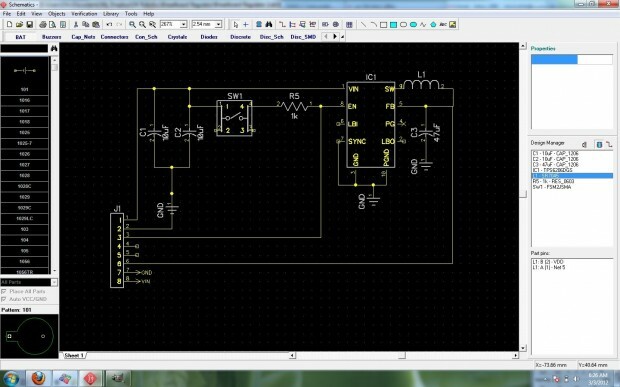 He has taken up the challenge and is working on an even simpler design that will reduce component count and cost, and will increase power efficiency. We are moving towards a simple elegant solution that will exceed all the design specifications and yield a unique and highly flexible solution for breadboard power supplies and beyond.